A versatile lens that lets you capture everyday shots with amazing ease and clarity! 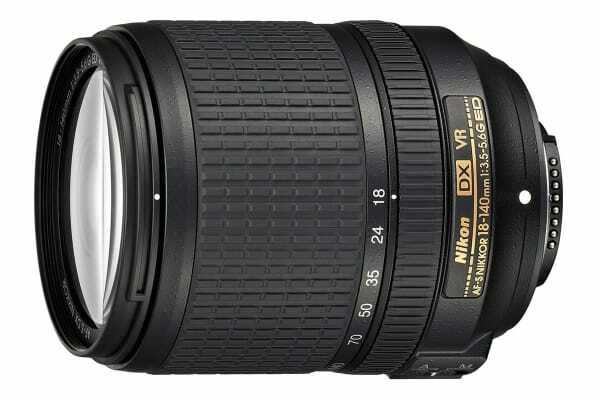 The Nikon AF-S DX NIKKOR 18-140mm f/3.5-5.6G ED VR will probably stay on your camera more than any other lens. It opens up new photographic possibilities with its compact size but powerful 7.8x zoom range and allows you to capture everything without changing lenses! So, no matter whether you’re putting that wide-angle group shot or a telephoto close-up into frame, this is the lens that can do it all! The AF-S DX NIKKOR 18-140mm f/3.5-5.6G ED VR is specifically designed for high-pixel-count DSLRs and functions flawlessly across the entire zoom range. This lets you capture clear wide-angle shots of your whole sports team or extended family as well as macro-like close-ups of birds and insects! With 4 stops of VR image stabilisation, this lens works excellently to cover all occasions even in low-light conditions. You need not worry about any blurring even when taking those low shutter speed shots or the hand-held telephoto ones. The AF-S DX NIKKOR 18-140mm f/3.5-5.6G ED VR uses Extra-Low Dispersion glass to eliminate reflections and lens flare while its Aspherical lens elements give optimum colour and detail with almost no aberration. And with its Silent Wave Motor providing super-quiet and super-fast autofocusing, this lens is also perfect for those wildlife shots. This lens is compatible with F mount Nikon DSLR cameras.